Happy Watkins, a man who came to Spokane originally for the U.S. Air Force, has been spreading messages from the famous civil rights leader for the last 30 years. 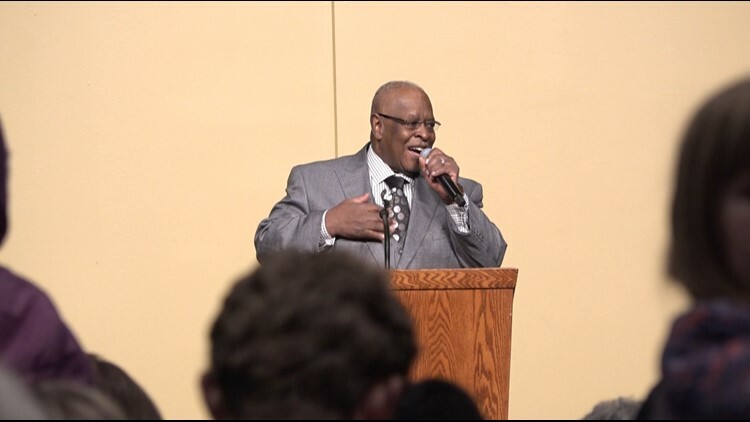 SPOKANE, Wash. — For years, Pastor Emeritus Happy Watkins has shared Dr. Martin Luther King Jr.’s message of hope and perseverance with countless people. 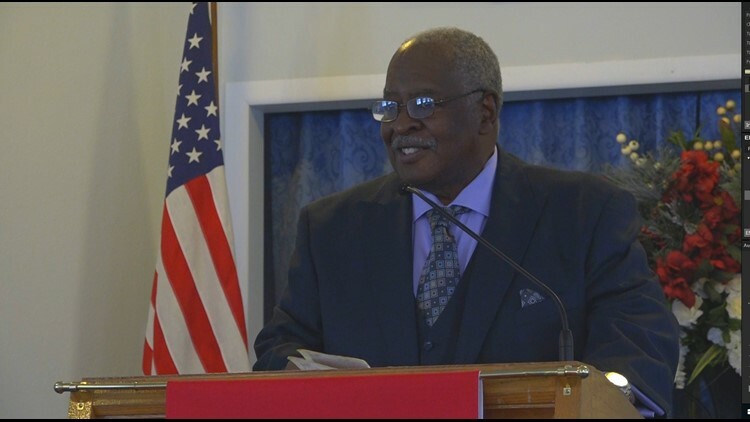 The local pastor has traveled all over the Inland Northwest sharing the words of the late civil rights activist and a few of his own. Watkins admits he was a bit apprehensive about going to Spokane when he first got his orders in 1961. The New York native was training in the Air Force in San Antonio, TX when he got the news. "I was cheering and greeting everybody with high fives and low fours because I thought I was going to Spokane D.C," Watkins laughed. Watkins quickly learned there was no such thing. He said his training officer started telling him about his soon-to-be new residence. "He went on and he started talking about severe winters, cowboys and Indians, stage coach, polar bears, and grizzlies and I started crying. I was distraught. I didn't think a place like this existed,” Watkins said. But this mysterious Northwest city is where he would find the love of his life Etta. They met at a party in 1962. "I saw him, he didn't say a word, and he just stood against a wall grinning, as everyone knows he's got a beautiful smile,” Etta said. Admittedly, Watkins was pretty shy around his future wife, but they eventually hit it off. They got married in August 1963 and went on to have four sons. And when his boys got older, Watkins took notice of how African America youth were being treated in Spokane. "There was a lot of misunderstanding, name calling, some racial stuff, and so I really got involved not just for my four sons, but kids of color, and just children to give them a better understanding of what it is to be a minority in this great city of Spokane,” Watkins said. Watkins became involved in the public schools and working with youth. He pushed for programs to get more African American students to graduate from high school and prepared for college. For many years, he helped organize the MLK Day parade and rally, and he often spoke at the events. "Everybody that meets him falls in love with him because he does exude love to people,” Etta said. Watkins found a strong connection to the community through the church. Watkins grew up in the church and it has always been a place he found solace. He was a chaplain at Deaconess Medical Center and Holy Family Medical Center. And he served as an assistant pastor at Calvary Baptist. 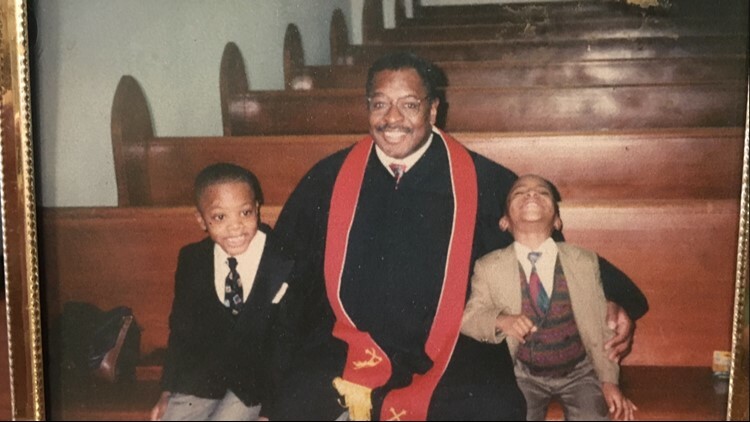 Watkins eventually went on to lead the New Hope Baptist Church in 1990. But perhaps Watkins is most known for reciting the iconic Martin Luther King Jr. "I have a dream" speech. And it all started with a simple request. In 1986, the NAACP asked him to say the speech at a luncheon with Governor Booth Gardner. "This particular Sunday, it was a Monday that he was coming, I was at the Calvary Baptist Church. And I told the pastor I said ‘look I am going to go downstairs and lock myself in the room and see if I can memorize this speech’,” Watkins said. With a plate of fish and fries, he stayed up all night practicing and when the time came he did it. "In the conclusion of "I have a dream", ‘free at last, free at last’, tears was rolling down my eyes, tears was rolling down the audience’s eyes,” Watkins said. From then on he traveled all over the Inland Northwest delivering Dr. King's message to schools, universities, churches and community groups. He recited these words to thousands of people over the years. New Hope Baptist Church has seen some changes in recent years. They moved into a new building on Argonne and Boone in Spokane Valley. For close to four decades they held church in an old pool hall on Greene Street in the East Central Neighborhood. And last year, Watkins’ son James took over as senior pastor. Watkins decided to take a step back to deal with some health concerns. He still does speaking engagements and the occasional sermon at New Hope. He said he does not plan on completely retiring any time soon. "I want to do the best I can. You know, if I can help somebody along the way than my living shall not be in vain," Watkins said.